MaxGauge provides real-time integrated monitoring and linkage analysis for Application Server and DB. Also, using Top-Down approach, MaxGauge allows fast and accurate analysis with few clicks and its simple intuitive interface. MaxGauge provides an integrated monitoring function for Application Server and the Database. 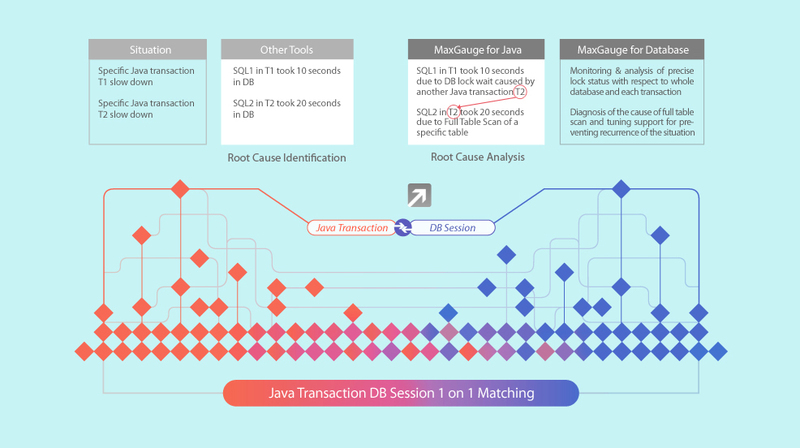 It also manages the performance by matching 1:1 the components of a business transaction, Java transaction and DB session. In the event that a short-term lock occurs in an actual service operation, you can analyze the root cause of the system failure. 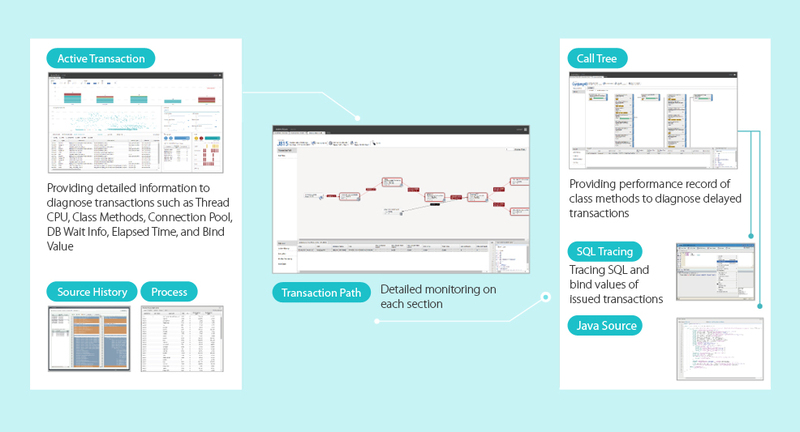 With a single click, you can analyze the call tree, SQL execution details, and Java source in the Transaction Path View to identify the root cause of the system failure.